Systems Contractor News magazine published an excellent article on Alpha Video's tech expo at U. S. Bank Stadium on October 19. The article not only discusses the successful tech expo, but also outlines how Alpha Video & Audio, Alpha Video Sports Division and CastNET Digital Signage Division collaborate to provide total video solutions to sports venues like U.S. Bank Stadium. The brand-new U.S. Bank Stadium in Minneapolis might be one of the few sporting venues where spectators can not only watch the action on the field and on video screens, but also see how that action gets from the field to those screens. Right there on a bustling concourse between concession stands is a row of large windows providing a view of the venue’s high-tech video control room and the high-caliber production crew that provides the next-level fan experience that was a priority when designing the stadium. 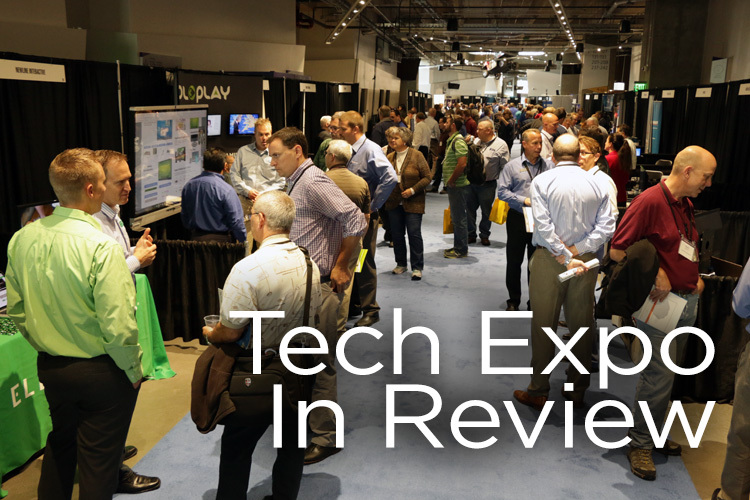 This was a real crowd-pleaser for one particular audience that toured the venue last month—the technology end users who attended Alpha Video’s Tech Expo on October 19. Alpha Video recently completed work on the attention-grabbing control room, which was built as part of the multi-platform fan engagement goals of the Minnesota Sports Facilities Authority and its primary tenant at the venue, the Minnesota Vikings. The event was Alpha Video’s largest ever, attracting more than 300 customers in a year when the firm’s business is up 20 percent. Part of the draw was certainly the venue, said CEO and owner Kevin Groves, “but to get this kind of client response and to have more vendors exhibiting at the show than we’ve ever had, we feel like this is a great success. Perhaps not surprisingly, given the stadium venue for Alpha Video’s Tech Expo, sports is the largest driver for its business at present. Led by Alpha Video veteran Jeff Volk, who holds the post of VP of Sports & Entertainment, the division specializes in control rooms, concourse and suites displays, and digital signage integration. Alpha Video’s sports venue work also encompasses CastNET digital signage, where it excels in content creation, integration with scoring and real-time stats, and menu board updates via point-of-sale (POS) systems. Across all the verticals that CastNET serves, including the 1,000-plus casinos where its systems are deployed, Alpha Video has honed its integration chops to create transferable skills for other projects. Having done the groundwork to connect with various gaming systems to trigger casino-wide events, it’s a natural extension for Alpha Video to trigger stadium-wide digital signage “moments of exclusivity” in conjunction with game-day events.